How you can maximise social media to sell your products is a thing of the past; learn a new way that converts visitors into buyers. Social Media has started to change marketing ways to “sell” products and services. Traditional marketing methods like television and written ads, social media is more popular. This is the social media era, and there are marketing rules that change. Consumers have also changed the way they see ads. They become mature and they seek for more honest campaigns from companies. Companies are facing this challenge: how can they use social media to increase traffic? 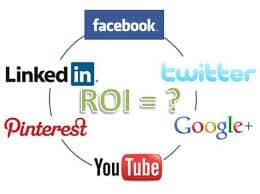 How can they generate better return of investment or ROI? Social media such as Twitter and Facebook are alternative channels to convert your marketing methods into something more “humane.” They allow us to interact with people, draw followers, and nurture these connections. Even large corporations recognise the value of social media channels in boosting their businesses. They post information and messages that inspire and engage. They create inspiring content instead of directly selling their products and services. As a result, people become more comfortable doing business with these companies. Timberland Company is a good example to show how this marketing method is better. Instead focusing more on their products, they tell stories, particularly those that involve environmental issues. Jeff Swartz, CEO of Timberland, wrote stories about his life and some social advocacies he is involved. That marketing method sells! Publish less and less of press releases. Post stories that will help you connect to your potential customers and target audience. We all know by now that traditional methods to advertise our products and services cost us millions. With social media channels like Facebook and Twitter, they are cheaper and “small” channels. But these “small deeds” from social media can turn into better ways to generate better ROI. This is because people love stories and interesting posts that inspire them to share to families and friends, and across the web. It was many years ago when it took us weeks and months before we can connect to companies to tell them about our bad experience with their products. With internet era, we only count minutes before our comments and our feedback reach them. Social media can do that for consumers. Small concerns become important and we receive immediate response. Avoid relying too much on television and newspapers for your ad campaigns; social media channels may be small but they have wider connection – across the globe! Time has changed. Technology changes the way we do business. It was just some years ago when we connect to our customers through emails and telephone numbers that we see on websites. Although, these marketing methods are still in use, people respond more with methods that inspire and move them to interact and engage. If a customer wants to communicate with a specific company, they tend to find this company through Facebook and/or Twitter. They feel confident that through these social media channels, they can send their concerns and receive feedback immediately. Customers believe that even if it is at the middle of the night, there is somebody who will read their concerns. Huge and stable companies such as Dell use social media channels to connect to their customers and followers. They have a community website that is linked to social media such as Facebook, Twitter, YouTube, and more. They have also created forums, blogs and other online channels to connect and interact with their customers and followers. These days when social media like Facebook is an effective way of connecting to people, it is worth creating and keeping them work for the audience. Although, inner motive is to get more audience, increase traffic to website, and obtain better ROI – later – what is more important is to let people feel they are important and their needs are relevant. Share your thoughts and experience with us.